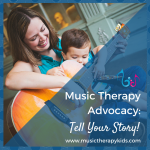 Music Therapy has never tasted so good! 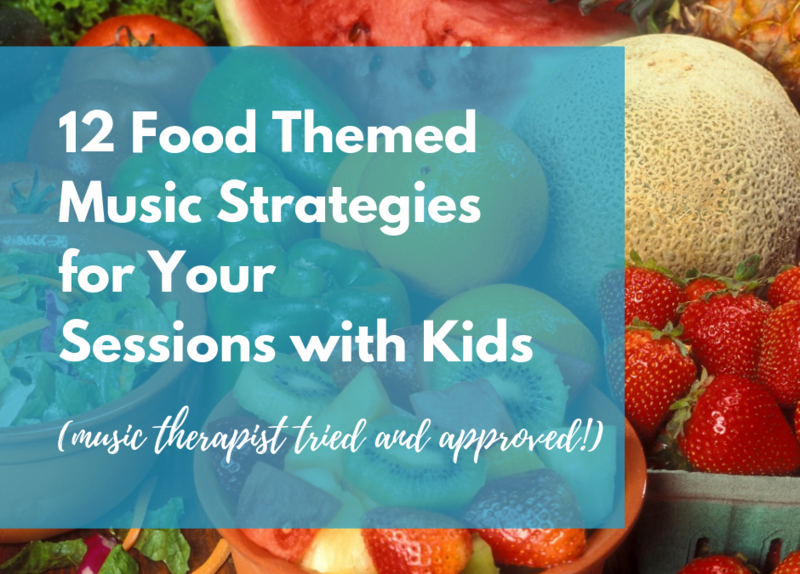 Have you ever planned a food themed music therapy session? Honestly….I have not. I’ve used many songs all about food but a food-theme was not something I had ever thought of doing in my music therapy sessions with kids! But that all may change soon! 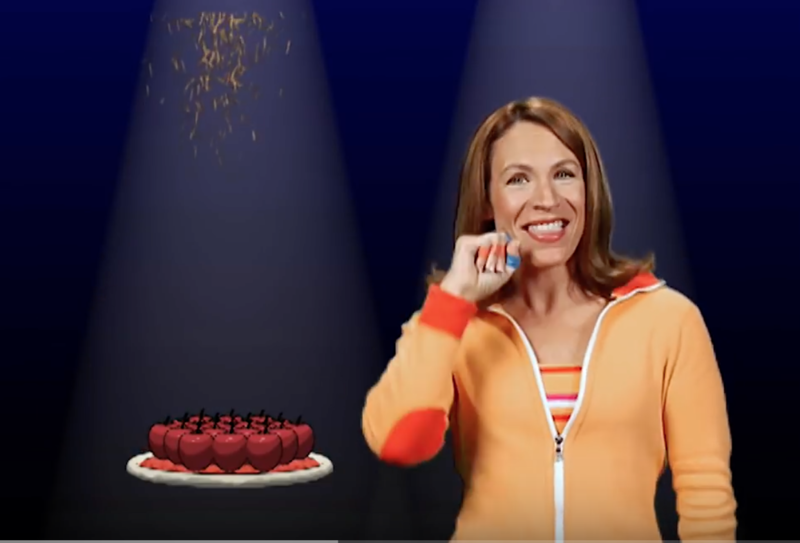 I’ve been looking back over previous Songswap spreadsheets and immediately noticed that there were a substantial number of interventions all about food – healthy food, junk food, food songs about letters, food songs about counting. It’s all there! 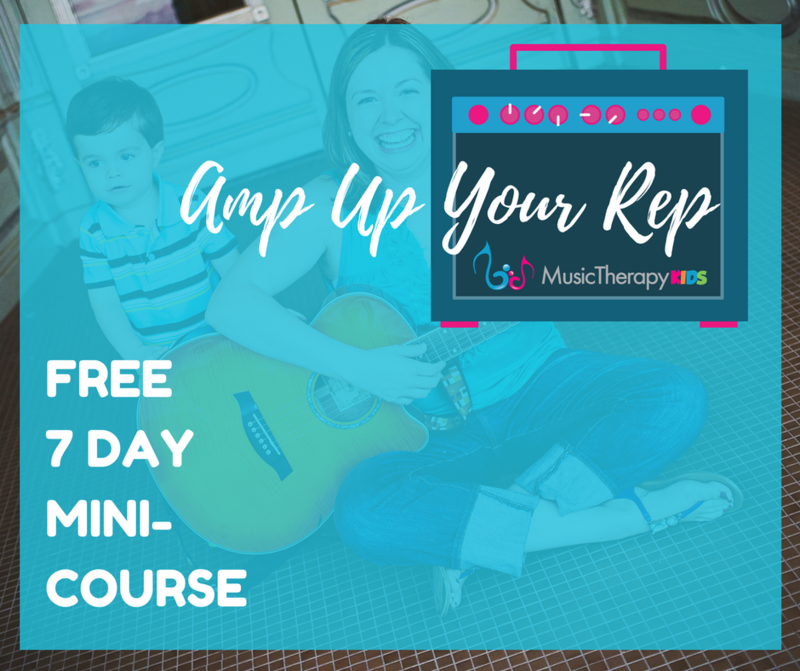 I thought it would be fun today to select a few of the Songswap food music therapy interventions and share them with you. Also, I am giving shoutouts to the contributing music therapists (using their Facebook names) so if you see your name or your pal’s name mentioned, make sure they know and share this with them! This is by far one of the most common food songs used by music therapists. 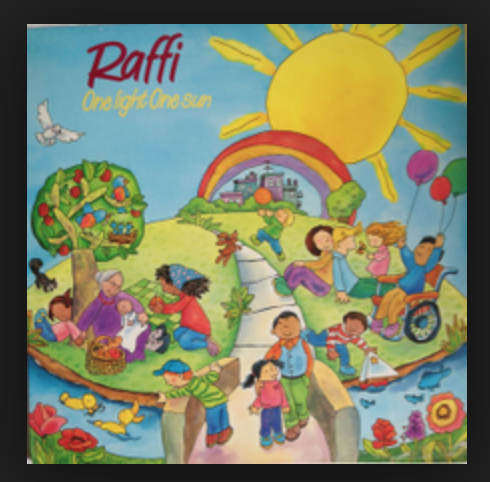 It seems to originate from Raffi’s One Light CD (1985) but according to Wikipedia (the internet knows all, right? ), Apples and Bananas is a traditional Canadian favorite! My younger choir (ages 3-9) loves singing “Apples and Bananas”. First we sing it normally. Then the kids take turns holding up signs with different vowels on them. 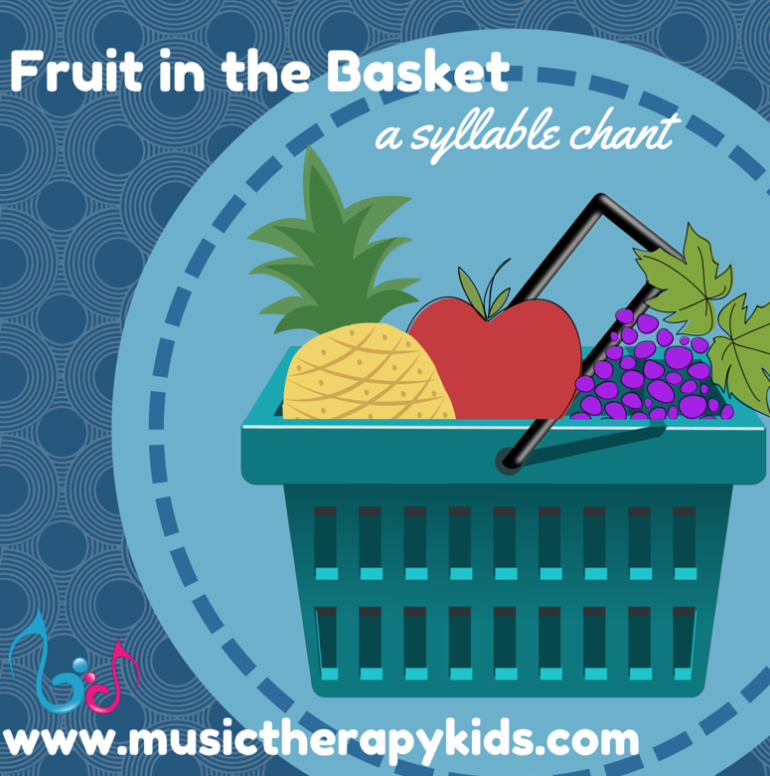 The younger kids will identify what vowel is next for us, and the older ones will tell us the sound it makes and how “eat”, “apple”, and “banana” will sound with their new vowels, then we sing! “Apples and Bananas” can be used in early ed or kindergarten aged children who are learning their letter sounds. Instead of just changing the vowels, you can have kids practice sounding out any letter of the alphabet. You can have slips of paper or cards with each letter of the alphabet and mix them up in a bucket/tambourine. The kids can choose a letter and then substitute it in the song. For example, if the letter “z” is chosen, the lyrics would be “I zike to zeat zeat zeat zappels and zananas”. If it’s a vowel like I, it would be similar to the the original, “I like to ite, ite, ite, ipples and baninis.” You can choose which letters to focus on within the intervention by only having target phonemes as options in the bucket. It’s also a good way to have students identify the name of a letter and the sound associated with that letter as a way to assess their knowledge of the alphabet. I have found that this intervention gets a lot of laughs since the sentences get pretty silly. You could also add in fruit/egg shakers or body percussion to add in a movement component if your clients benefit from additional sensory input/output. For communication I use the melody from Apples and Bananas: I like to eat, eat, eat____________for my breakfast I like to eat, eat, eat____________for my breakfast. Also do it for lunch, dinner, and dessert. Ask them to fill in or to sing the entire sentence. Have you used this song too? 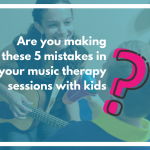 It is another classic music therapy intervention and has been shared a few times over the songswap’s history. This song is a Barney original from the early 90s. So we have a big purple dinosaur to thank for a great song that can be used in a variety of ways! And watch Leslie Jones and her speech therapist colleague sing different vowels with a slight twist! I created a file folder intervention for one of my students who had a goal to identify numbers. 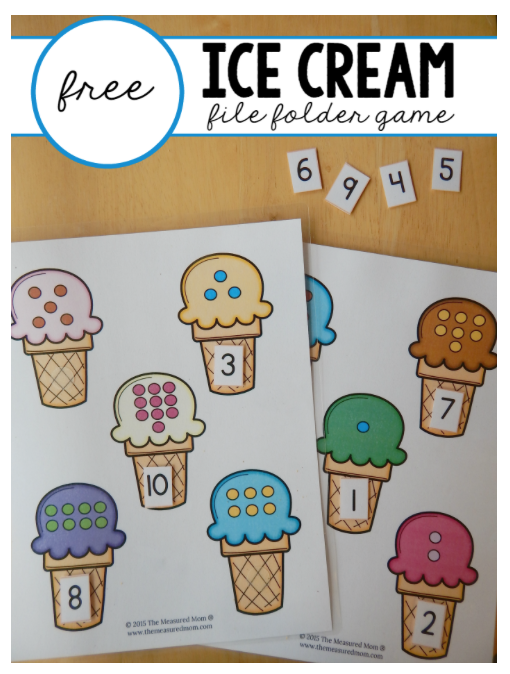 I found a free print out online about ice cream cones, and cut out all the necessary pieces, laminated it, assembled velcro pieces, etc. The song I wrote for this intervention was to the tune of “Lollipop” by the Chordettes. Pick up a card, what does it say? Can you find its matching cone? Just count the dots on the ice cream cone. So essentially you would present a field of numerals that fits your client’s needs, and through the structure of the song, instruct them to find a certain numeral, count the dots on the ice cream cone, and match them together. 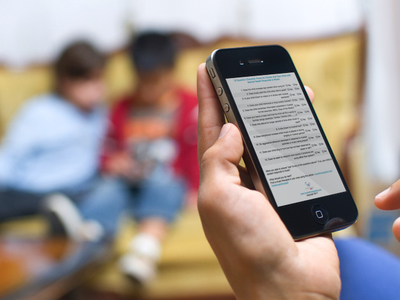 You can easily adapt the lyrics of the verse depending on the exact goal of your student. One tip for creating the file folder, I put #1-5 on the left side of the folder, and numbers #6-10 on the right side; that way you can easily fold the folder in half for students who need a smaller choice field. Wanna get the free visual? Check out The Measured Mom Blog. This song is SO. MUCH. FUN! But don’t take my word for it – watch it below! Some of the things that I work on when I use this song are sign language, sequencing, vocalizing, etc. I also sometimes let students choose what food they want to put on the pizza to work on self expression. When I sing it, we sign the food for the entire verse, then we sign each food as we repeat it. Then we also sign “cheese” at the end of each verse. 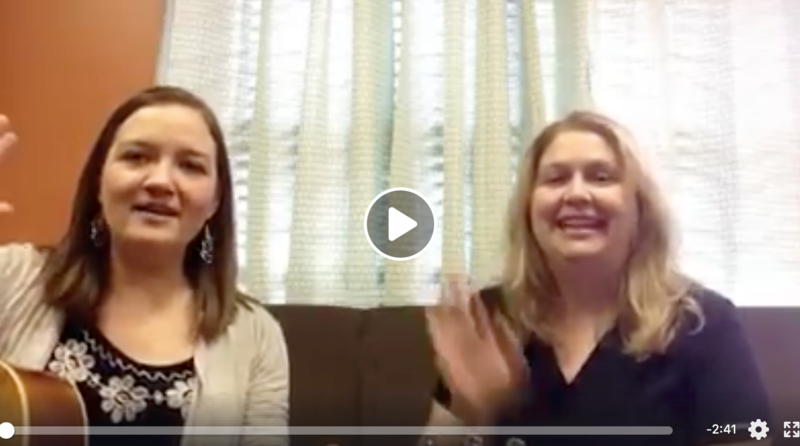 She was also brave enough to post a video on Facebook in our group so make sure to check it out! This is one I’ve been wanting to try for a while. It’s sooo cute! I love doing the song “Please Pass the Peas” with groups, especially during one of the first times I see them! We will pass green bean bags, shaker eggs, plastic peas, or even a can of real peas based on the group dynamic. This song teaches cooperation and really valuable manners words, also incorporating alliteration and rhyming as a literacy bonus! 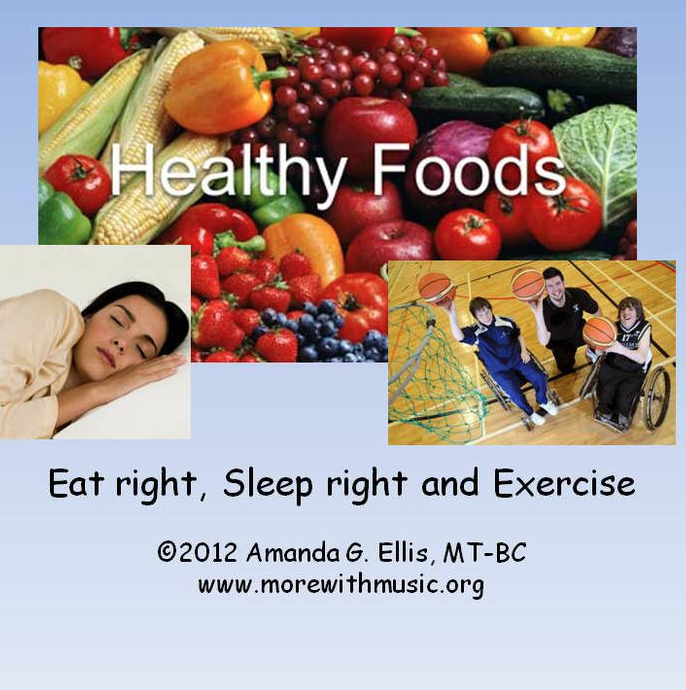 One of my new all time favorite songs is Eat Right, Sleep Right & Exercise by Amanda Glass Ellis. A number of my classrooms had health units this year focusing on nutrition and exercise. I brought in vegetable and fruit shakers to play while we sang along to this song. We even used the recording and did exercise movements to it. Of course, we also discussed healthy eating options, etc. To say that this song is one of my students’ favorites is and understatement! As soon as I walk into classrooms where I’ve used it, they request it or begin singing it to me. In November, I always sing about food. Really generically since a lot of my kiddos live in low socioeconomic areas. But one of my and their favorite activities is based on Chicken Noodle Soup by Webstar and Young B. I sing the chorus while I tap a tambourine and let each student choose a soda from the board I made in the Sounding Board app. Then they get to play the tambourine while I sing “chicken noodle soup chicken noodle soup. Emily gets soups with a Coke on the side!” It’s silly, but the week that I tried to just let my nonverbal students choose, everyone else pitched a fit! There’s always one kiddo that insists that he drinks milk or something too, of course. Lately my kiddos and I have loved a tupperware bowl filled with pom pom balls and magnetic letters. 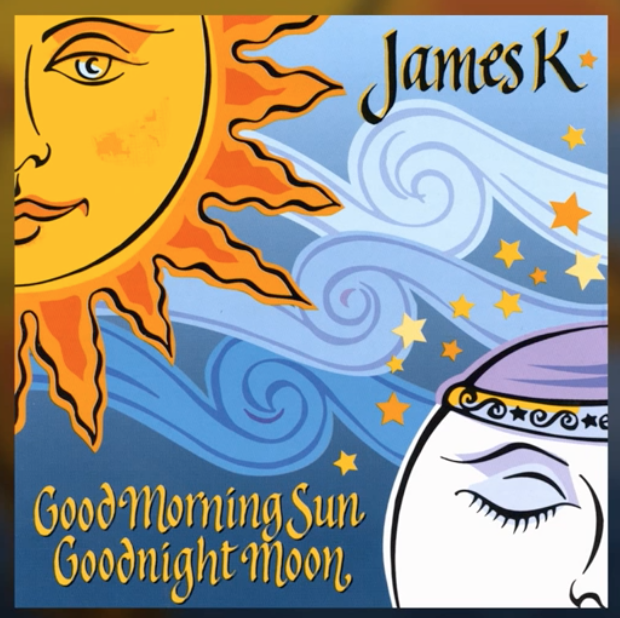 We use the song “Alphabet Stew” by James K, which I love because it’s simple and catchy, and basically takes the standard ABC song and adds a fun extension so there’s some familiarity and some new material for little ones. We take turns finding letters from our bowl, identifying them, making their sounds, and sorting them by color/size onto a small magnetic dry erase board. I have even gone so far as to only put in multiple magnets of specific letters a kiddo is focusing on. I’d like to share a couple variations on Rachel Rambach’s 5 Little Monkeys are Jumping on the Drum- I do 5 Little Animals are Jumping on the Drum, and 5 Little Vegetables are Sitting on the Drum. These are great for turn-taking, animal/vegetable identification, animal sounds, counting, etc. I’ve also noticed when I use this in my early childhood groups where parents are involved, the parents/child couples participate by turning it into a lap bounce with lifts on ‘up they go and down they come’. For my preschool kids, the vegetable version was a great jumping off point to talk about how they eat each vegetable and gardening in general. Peel Bananas, peel peel bananas (x2) (body peel movement) Freeze! Chop Bananas, chop chop bananas (x2) (arm chops) Freeze! Crush Bananas, crush crush bananas (x2) (marching) Freeze! Pour it in the blender Blend banana, blend blend banana (x2) (blend movement…) Freeze! Take a big drink (glug, glug) Oh! Do you feel the energy all the way from your toes all the way to the top of your head? Go Bananas, go go bananas (x2) Freeze! You are now ready to create a complete food themed session! The best part of all the music strategies shared here is that they are tried and true. 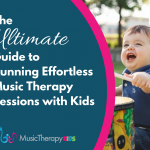 Other music therapists who work with kids have already field tested them for you so you can be sure to experience success!